When a loved one or your family makes the choice to move an elderly family member into a nursing home for some extra support and care, your family wants to be able to trust that your elderly loved one will be properly taken care of and that the move to the nursing home will ultimately provide both comfort and an improved quality of life for the elderly resident. Up to 10 percent of residents are victims of nursing home abuse. Here are common nursing home abuse warning signs so family members know when to seek help. Prevalence of Nursing Home Abuse in the U.S. Unfortunately, however, this is not always the case, as many people who reside in nursing homes become the targets of neglect or abuse at the hands of nursing home staff or possibly even other residents. In fact, the National Center on Elder Abuse (a division of the U.S. Department of Health and Human Services) has estimated that as many as 10 percent of all nursing home residents in the U.S. were the victims of physical, verbal or sexual abuse within the last year alone (financial abuse was not included in these findings). What may be possibly as shocking as this high rate of nursing home abuse in the U.S. is the fact that researchers believe that most cases of nursing home abuse go unreported (with some experts estimating that for every one cause of nursing home abuse that is reported, there are about 24 other cases that have not been reported). Report possible abuse to the authorities. Meet with an attorney to learn more about their rights and legal options. Here we’ll take a look at the 7 most common signs of nursing home abuse. The victim of physical, psychological or sexual abuse, as some victims may stop eating in the aftermath of the trauma. Although weight loss is a phenomenon that could be attributable to other issues (like, for instance, a medical condition), when a family is unaware of any existing medical condition that may explain substantial weight loss, it’s time to start asking nursing home staff some serious questions about possible abuse. Look for the upcoming second and third parts of this blog for other common signs of nursing home abuse. Unexplained bruising and emotional withdrawal are among the most common nursing home abuse warning signs that families need to be aware of. A common sign of nursing home abuse is emotional withdrawal, as abuse victims will tend to become depressed, distant and possibly even intensely anxious after suffering abuse. If families notice that their loved one is not acting as vibrant, communicative or interested in life as he or she had been within the previous days or weeks, then something may be wrong, and family members should consider digging a little deeper to find out if nursing home staff or other residents may be victimizing their loved one. In some cases, the use of restraints may be appropriate or necessary (such as when, for instance, a resident has a condition that may cause him to harm himself). However, the use of restraints to simply “manage” or “contain” nursing home residents is not only excessive, but it is also dangerous and irresponsible. When families suspect that restraints are unnecessarily being used on their elderly loved one (this could be indicated by wrist and/or ankle bruising), they should question nursing home staff to find out what is going on. Unnecessary and inappropriate use of restraints can cause serious physical and psychological damage to nursing home residents, and it could be the basis of an abuse lawsuit. Some medical conditions, like, for example, anemia, can cause elderly people to bruise very easily. However, when a resident has bruises that can’t be explained by a medical condition, that appear on odd places of his or her body and/or that seem to be recurring (i.e., continually appearing over the course of weeks or months), it’s quite possible that this bruising is an indication that the elderly person is being abused. Additional nursing home abuse warning signs can include bed sores and falls. Families who suspect abuse should consult with an attorney to learn more. Bed sores, also known as pressure sores, are open wounds on people’s skin that develop as a result of significant and prolonged pressure on a certain area of the body. In many cases, bed sores arise on parts of the body that have protruding joints, like on the ankles, hips, elbows and shoulders. While, each year, about 2 million Americans reportedly develop bed sores, researchers estimate that, at any given time, between 10 and 29 percent of people at nursing homes, in hospitals and/or in home care situations are living with bed sores. 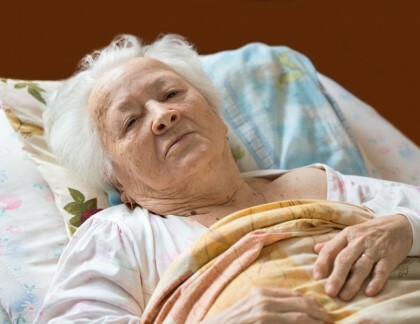 Because bed sores are typically preventable if the proper care and attention is provided to nursing home residents, these wounds are commonly indications of nursing home neglect; if they are not treated in a timely fashion, they can have devastating results to nursing home residents. When an elderly loved one appears to be especially quiet or withdrawn when certain nursing home staff members are around, it can be a clear sign that the particular staff member is abusing the person. 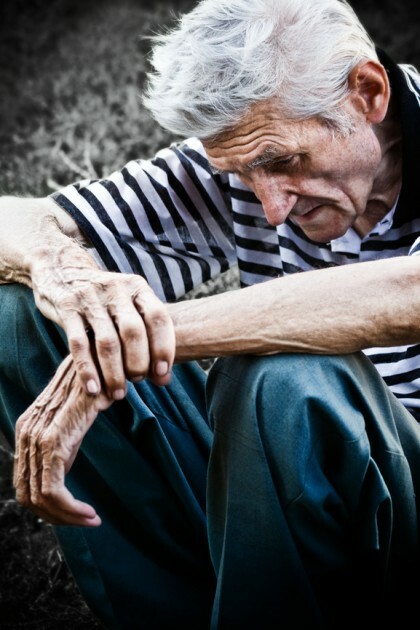 In many cases, victims of nursing home abuse are reluctant to speak out about their abuse because they are either afraid of retaliation from the person abusing them and/or they are too embarrassed to discuss their victimization (it’s also possible that residents who have conditions like Alzheimer’s disease can’t remember or effectively explain their abuse). So, take these possible warning signs seriously, and start asking questions if you notice this behavior in your elderly loved one. Falls can be catastrophic for elderly people, particularly if they have brittle bones. While some falls may be entirely accidental (such as in the case of an elderly person tripping over his own feet while being supported or helped by staff), in other cases, falls can indicate that nursing home staff are not properly supervising residents. In other cases, being told that your elderly loved one is falling a lot and that’s why he or she has certain bruises can be an indication that more malicious and intentional physical (or sexual) abuse is occurring. Helping you hold abusive nursing home staff responsible for their negligence and your loved one’s injuries is one of our primary goals. At the Savage Law Firm, our Portland nursing home abuse attorneys have more than three decades of experience defending the rights of the injured and helping them obtain the justice and compensation they deserve. We encourage you to learn more about your rights and case by setting up a free, no obligations initial consult. We represent clients in Oregon and Washington from our offices in Portland and Seattle. To learn more about our legal services and what we can do for you, call us at 503-222-0200 (in Portland) or at 206-957-7272 (in Seattle). You can also email us using the form on this page.